Dr. Patricia Gomez Dinger is a native Texan, who completed her undergraduate training at The University of Texas at Austin. She attended medical school at New York College of Osteopathic Medicine in Long Island, New York. She chose a career path towards allergy by first completing a three year Internal Medicine Residency at The University of Texas Health Science Center in San Antonio. While a resident she received several awards for her research on the effects of beta blockers on patients with asthma and COPD. During this time she also presented on the national level a new subclass of atypical acquired cold urticaria. Having several family members who suffered with allergies, Dr. Gomez Dinger was drawn to further study the specialty of Allergy and Immunology. She went on to complete a two year subspecialty fellowship in the field at Kaiser Permanente Southern California Medical Center in Los Angeles, California. In 2008, Dr. Gomez Dinger’s research on the relationship of long acting beta agonist to asthma morbidity and mortality was selected as a featured poster for presentation at the National Meeting of the American Academy of Asthma, Allergy, & Immunology. Upon completion of fellowship training, Dr. Gomez Dinger returned to San Antonio with her husband and their three children. She spent two years working as an Allergist before embarking on an opportunity to start her own practice. Dr. Dinger is a member of Texas Allergy, Asthma & Immunology Society, San Antonio Allergy, Asthma & Immunology Society, Bexar County Medical Society, American College of Allergy, Asthma, & Immunology, American Academy of Allergy, Asthma, & Immunology, and the Joint Council of Allergy, Asthma, & Immunology. Dr. Gomez Dinger enjoys keeping up to date on the latest medical advancements in her field and sharing them with the community taking part in numerous speaking engagements and volunteer opportunities. When she is not working with her patients she enjoys spending time with her family and can sometimes be found at one of her two favorite places: the beach or in the mountains. 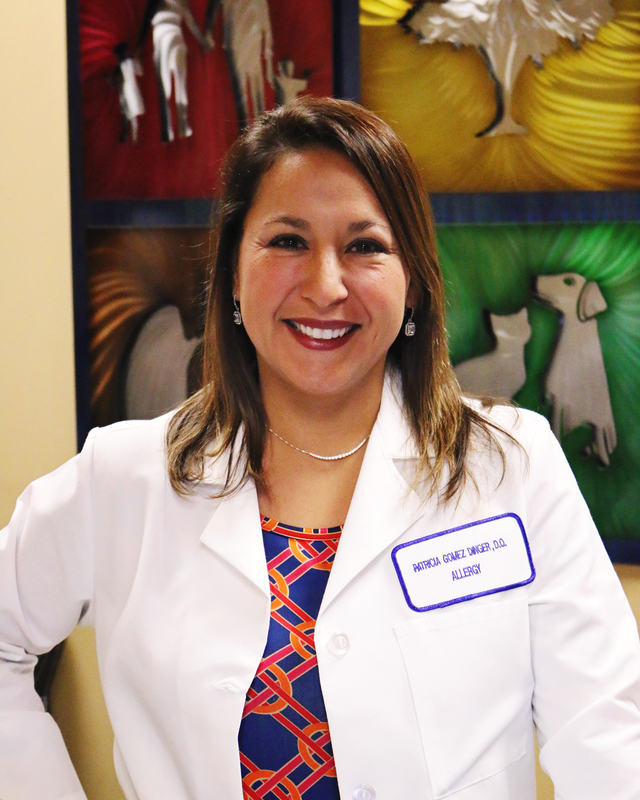 Marlena graduated from the University of Texas Health and Science Center San Antonio with a Master's Degree and is a board certified Family Nurse Practitioner through the American Academy of Nurse Practitioners. She joined Advanced Allergy, Asthma & Immunology Center in 2014. She has 25 years of nursing experience in the areas of cardiology, intensive care, pulmonary rehabilitation, pediatric triage and lactation. She has three children and enjoys spending time with her family. 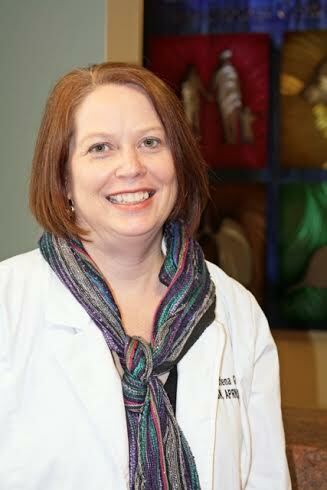 In her spare time she is also involved with mission work and has traveled to Central America for medical missions. Advanced Allergy, Asthma, & Immunology Center is a practice that understands the needs of our patients. We work very hard to make you feel at home by providing you with excellent care for the long term. Your visit will begin by being greeted by one of our friendly staff members. Our billing specialist will then help you with any of your insurance or billing concerns. 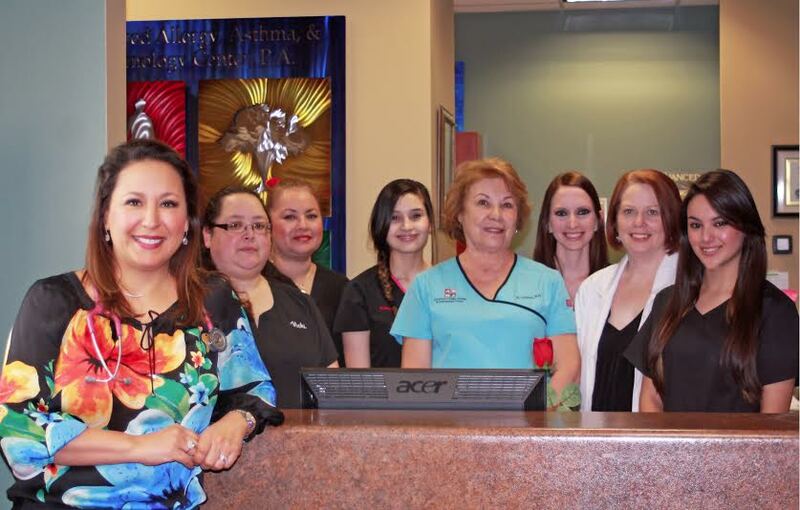 Together, our nurses have of 50 years of experience.